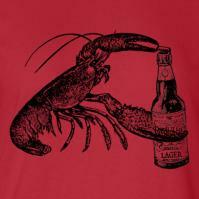 This crafty crustacean is cracking open a bottle of Cthulu lager. 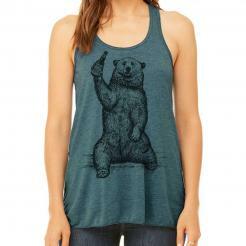 Sweet graphic tee. 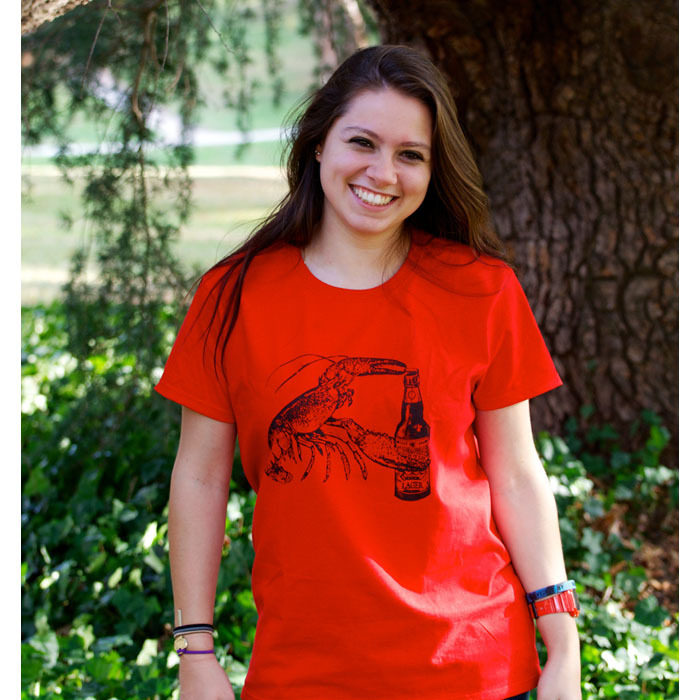 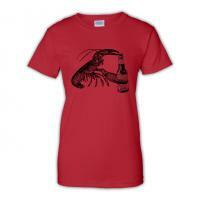 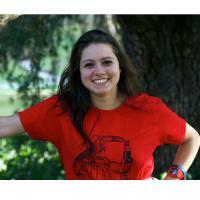 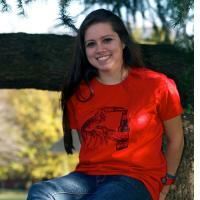 The design is screen printed by hand in environmentally friendly water based ink on a lightweight Bright Lobster Red women's cut 100% cotton t-shirt.